Based next to the beautiful Helford River, the 25 acre ravine garden at Trebah descends onto its very own private beach. Southern hemisphere plants intermingle with huge Australian tree ferns to create a sub-tropical paradise. The garden also boasts its own restaurant with a Mediterranean-style outdoor terrace. Located near Bodmin, the magnificent late-Victorian country house is accompanied by its own formal gardens and woodland for visitors to explore. Lanhydrock is a must for keen walkers, as the gardens also open on to a network of paths which run across 900 acres of Cornish countryside. Click here to visit the Landhydrock website. Like Lanhydrock, the gardens at Trewithen are set in a large estate which surround an impressive manor house. Based between Truro and St Austell, Trewithen offers woodland walks, picnic areas and a tea room, as well as its own working nursery which contains in excess of 1500 different species. Rediscovered by Tim Smit in 1991, The Lost Gardens of Heligan is one of the most popular attractions in Cornwall. Within the grounds of Heligan you can discover Victorian, Japanese and Italian gardens as well as the sub-tropical jungle. Make sure to look out for the famous Mud Maid, Giant’s Head and Grey Lady. Located near the fishing village of Mevagissey, Heligan is a must see when visiting Cornwall. 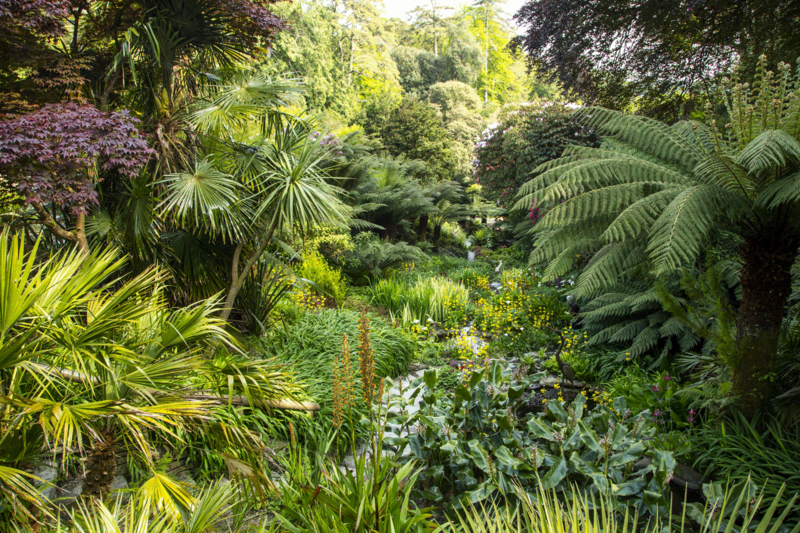 Located near Truro on the head of the Fal Estuary, Trelissick is made up of gardens full of exotic plants and beautiful woodland. As well as offering stunning panoramic views of the river, Trelissick boasts its own art gallery and cafe. 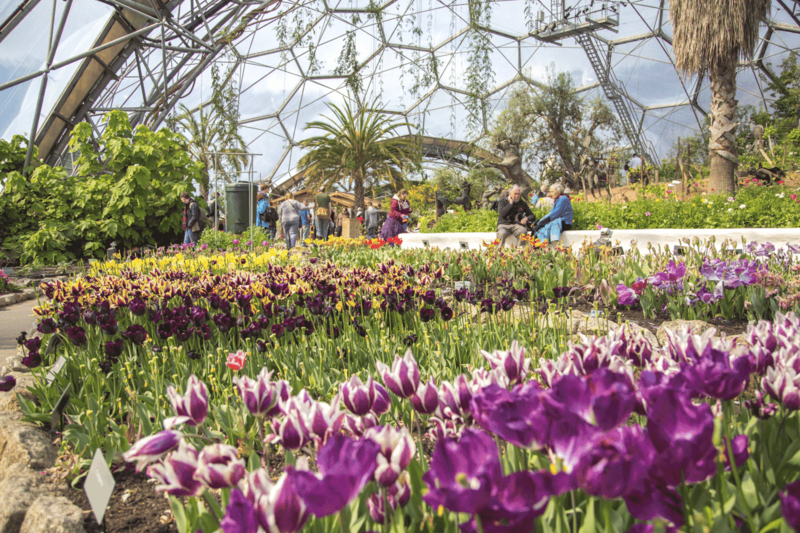 Based in a disused clay pit on the outskirts of St Austell, the Eden Project has been called “the world’s largest greenhouse”. 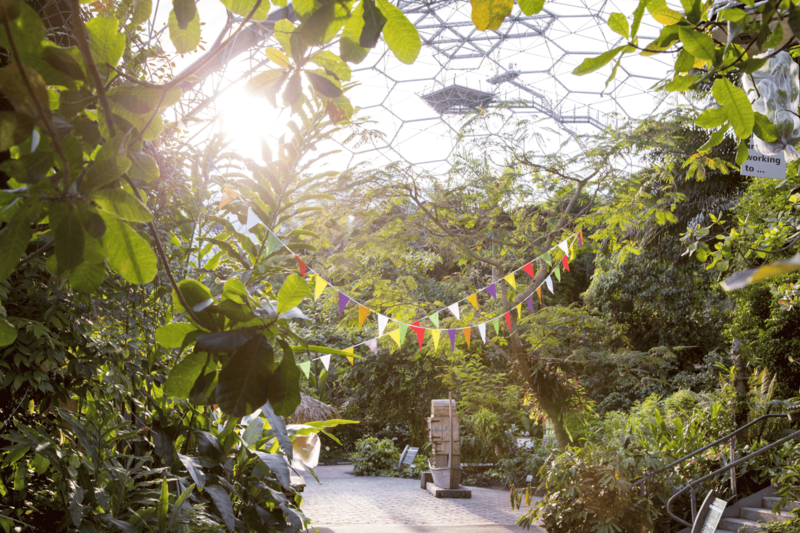 Two unique biomes are home to to a wealth of tropical and Mediterranean plants, with extensive gardens to explore outside as well. 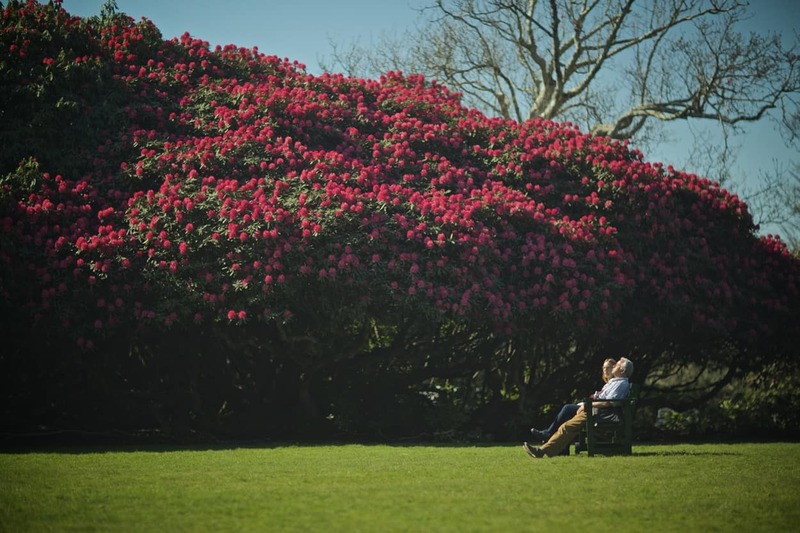 Formal gardens, acres of woodland and stunning views make Mount Edgcumbe a perfect place to visit in the summer. Built in the 16th century, there is plenty of gardening history to explore from the traditional English Garden to the modern Black Bee Reserve. Mount Edgcumbe is based slightly further afield, in Torpoint, but is a worthwhile trip. Visit the Mount Edgcumbe website to find out more. Perched high above the River Tamar, the Tudor house near Saltash is surrounded in both natural and formal gardens. Visitors can lose themselves in the Valley Garden which includes a Medieval stewpond, or enjoy the tranquility of the Upper Garden. Cotehele also boasts formally planted terraces and two orchards. Another garden based slightly further away, but definitely one worth visiting. 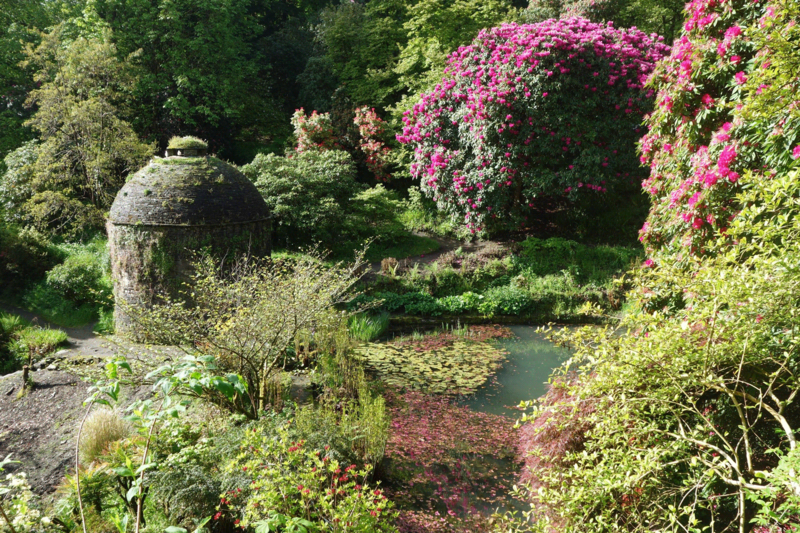 Located next door to Trebah, Glendurgan is another fantastic valley garden which winds its way down to the sea. With more fantastic views across the Helford River, the gardens are also home to a laurel maze as well as a wealth of different plants and trees. Visit Gelndurgan’s website to find out more. Opening in 2012, Tremenheere Scuplture Gardens is set in a beautiful sheltered valley. Located an hour away from the Old Quay House, in Penzance, the exotic garden boasts stunning views of St Michael’s Mount and contains a wide array of art sculptures throughout.